Security plays a major role in the success of hotels, motels and resorts. As a manager of such places, your number one concern is more than likely the safety of your guests, especially in high populated areas and tourist attractions. Citiguard’s security guards are well groomed, well trained and have professional demeanor along with excellent customer service skills. Our security guards will actively patrol the entire premises, checking all doors and staircases ensuring the locks are locked and no danger is lurking. Citiguard security guards are likely to be the first responder to complaints and calls for help. Most of our security guards are license for Power to Arrest, Baton, Pepper Spray, Firearms and CPR/First Aid. Although the private safes in the rooms help, it is in the guest’s best interests that they feel 100% safe during their stay and Citiguard will help ensure this. 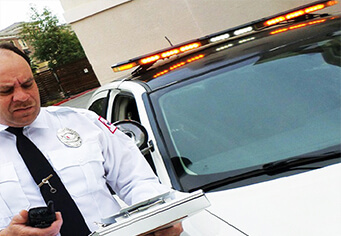 Call Citiguard – security guard company at LA for your Hotels, Motels and Resort security assessment consultation.